Pinball has been an entertainment staple and at the forefront of design and engineering for nearly a century. From the bold colors, bright lights and ringing chimes of games from the 50's to the modern era of full-color art and digital sound, pinball has always offered up an enticing visual and audio experience, and in an increasingly disconnected world of video games and smartphones, a physical experience unmatched anywhere else. 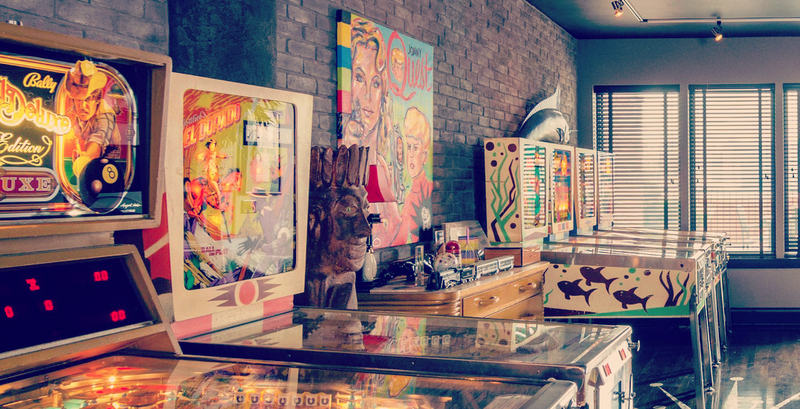 Increasingly, pinball is migrating from the dingy backroom bars and seedy arcades into people's homes, where they are enjoying a renaissance in popularity as people embrace them for the works of art they are. We've asked some of today's top designers and illustrators to offer up their ideas of what pinball is to them, presented in limited-edition prints, suitable for hanging in the most modern gamerooms. Each print is hand-made using the silkscreen process, rather than digitally printed, which allows for more vibrant, solid colors - the same process used to make the backglasses and playfields in pinball. As such, the print edition is limited to only 100 copies, each hand-numbered, and includes a Certificate of Authenticity with the print details as well as a full bio of the artist.